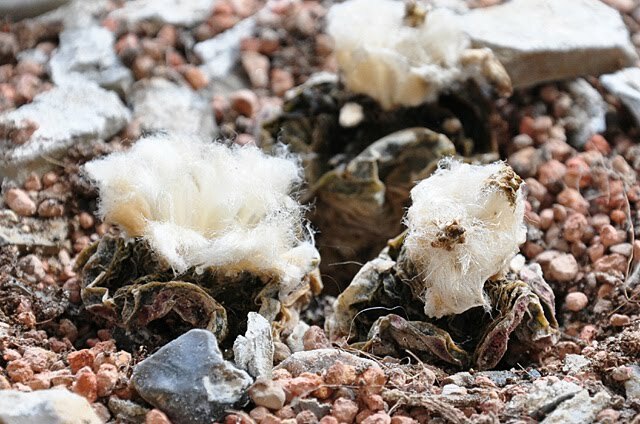 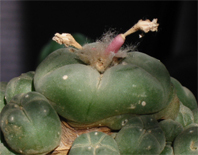 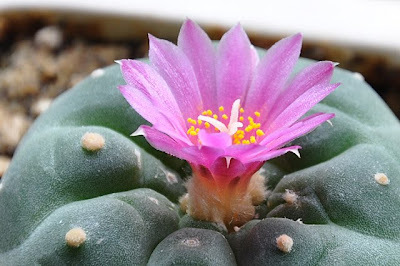 This particular Lophophora fricii plant was started from seed in the spring of 2002 and is, after a slow start (and some neglect), developing into a nice mature specimen. 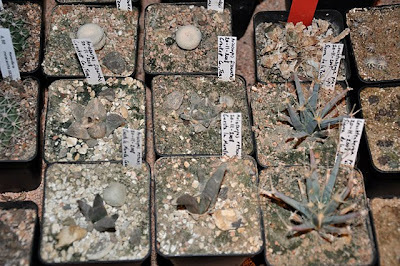 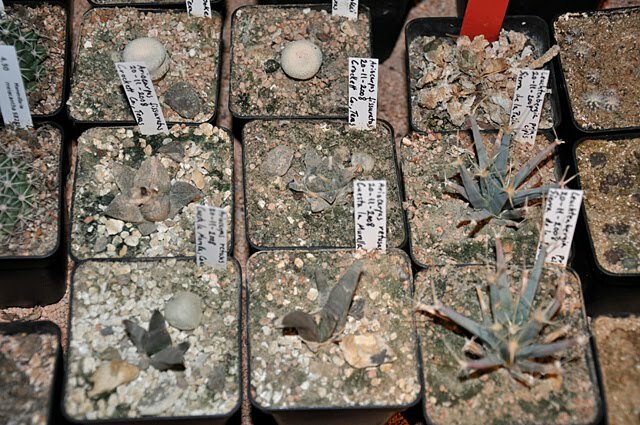 The last couple of days I’ve been busy starting the next generation of plants from seed. 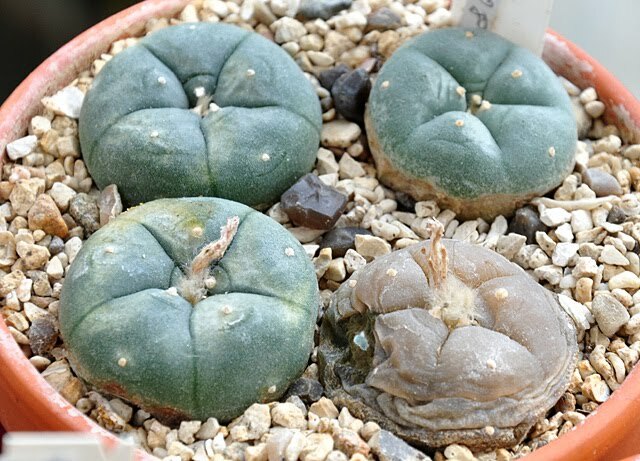 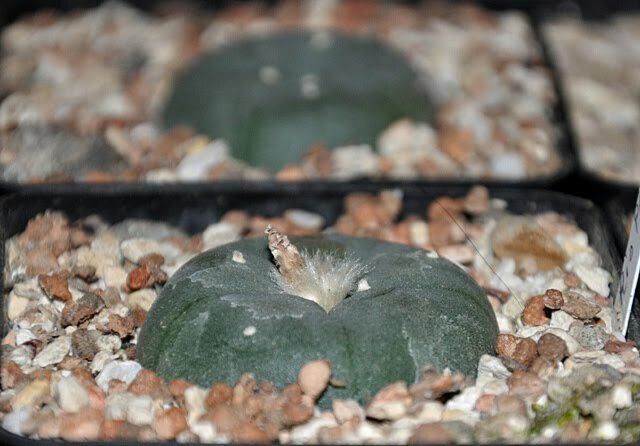 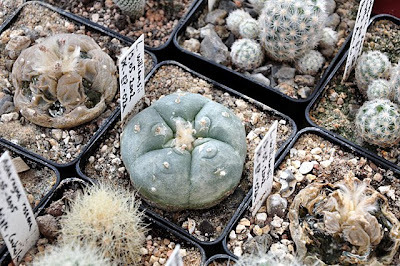 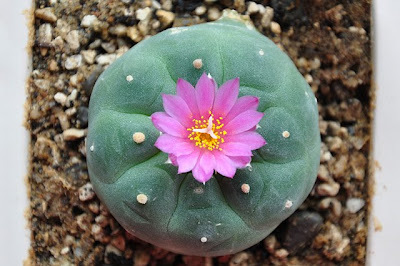 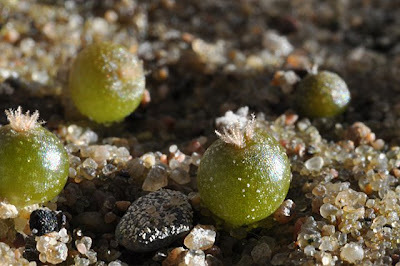 One of the more interesting lophs this year is a variety of Lophophora williamsii originating from El Oso, Coahuila, Mexico. 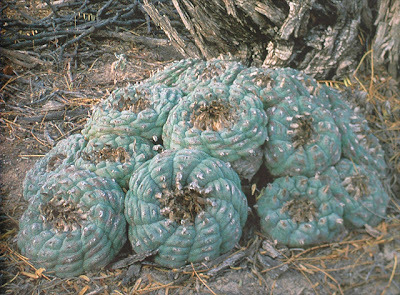 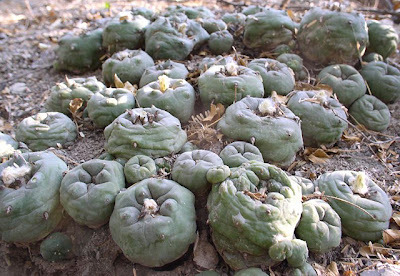 According to The genus Lophophora – Kaktusy Special 2, 2005 this variety forms massive clusters with individual heads measuring up to 15 cm (5.9'') in diameter! 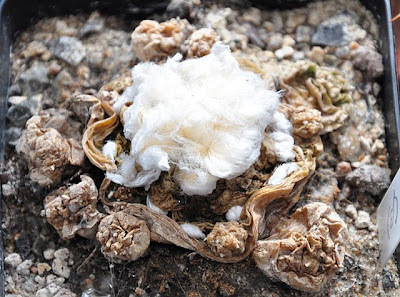 Unfortunately it seems the El Oso site is severely threatened by agricultural activities. 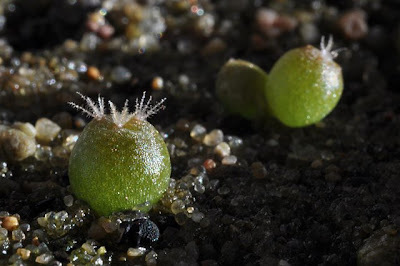 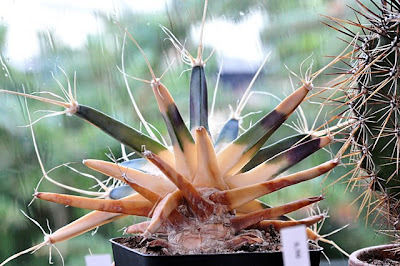 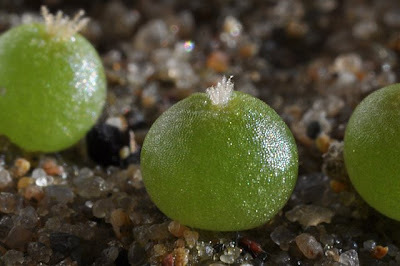 The seeds were bought from Jan Martin Jecminek and Jaromír Dohnalík – details for both are listed in the seed and plant retailers section. 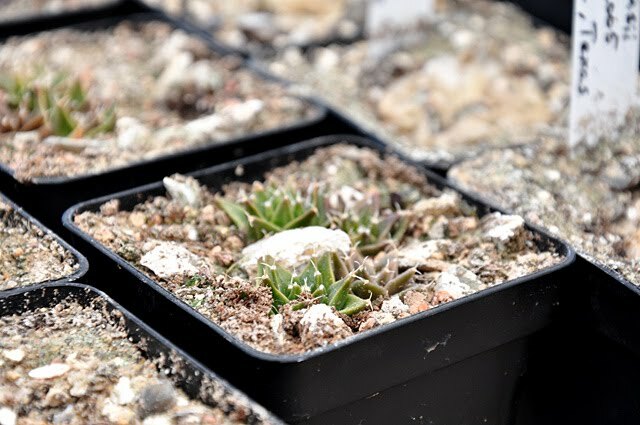 All seeds are sown in a mix of limestone gravel, regular soil, and loamy sand (mixed in a 2:2:1 ratio). 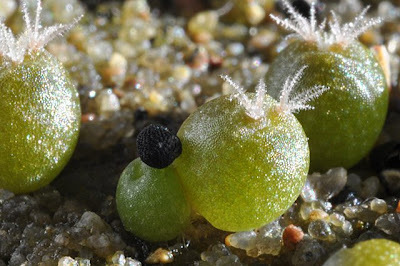 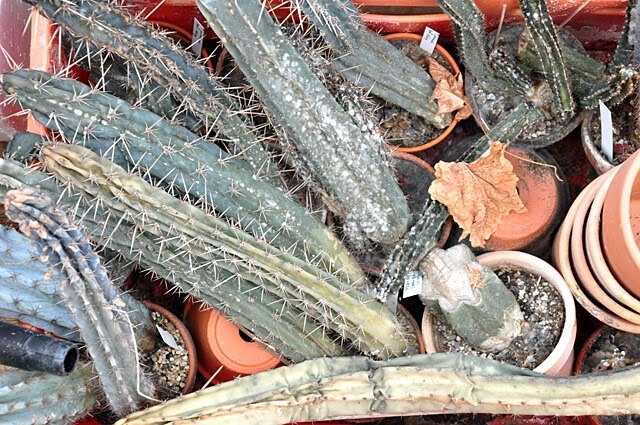 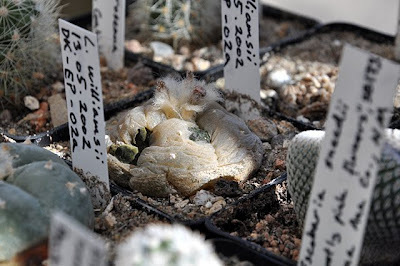 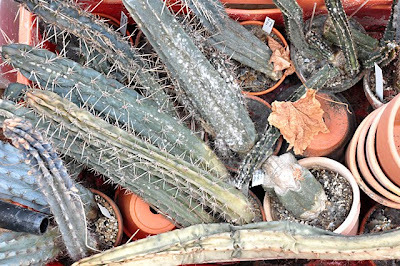 The pots are placed in closed bags where they will stay until the seedlings are well established - check out the post on growing cactus from seeds for more information on seed starting.